I hope that Banksy and his residency in the streets of New York City is not old news for you yet because after 17 days of surprises, highlights, and a total obsession on the part of many, Banksy hit the Bed Stuy-Bushwick border today. 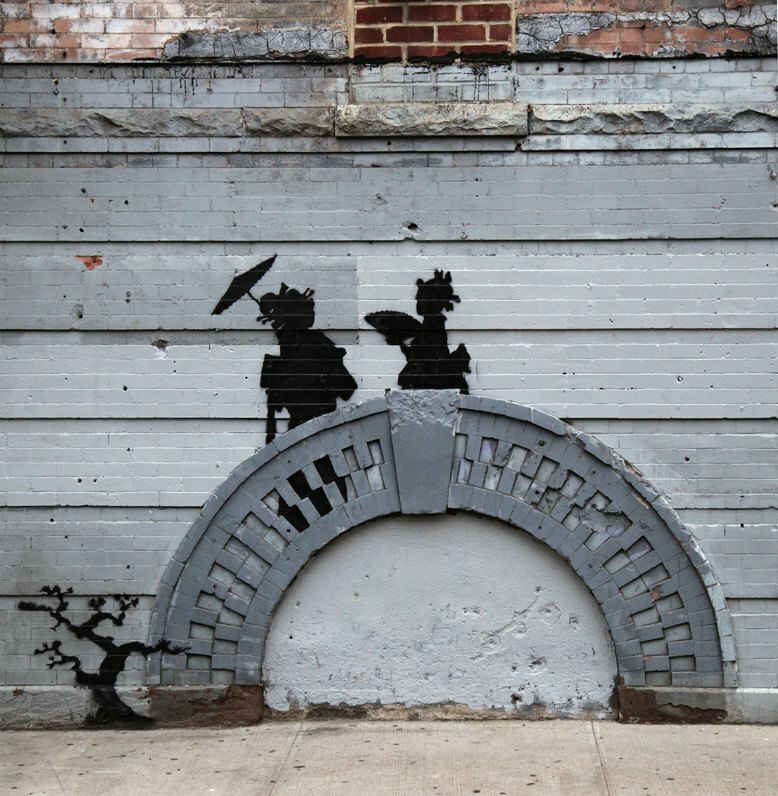 According to online sources, the newest Banksy is located on Broadway and Flushing Ave, near the Flushing JMZ stop. According to Animal New York, this piece is located at Cook Street right off Graham Avenue in East Williamsburg. On October 4, Banksy left his "Musical" tag under a random "Occupy" on Jefferson St and Stanwix, and also under a "Dirty Underwear" tag on Bushwick Ave in East Williamsburg. Bushwick and East Williamsburg, a current graffiti mecca of NYC, was not particularly impressed by these little tags, and Jowy Romano from Subway Art Blog commented here on Bushwick Daily that "these pieces are not as strong as his first few New York pieces." The new piece references Japanese culture and is pretty cute if you ask me. In the mean time, Banksy fans have crowded around the new wall - so run there before somebody paints over the piece, as that seems to be the New York rule... Animal NY writes that somebody tried to tag the piece but he was caught and beaten up... Also an impromptu restoration took place immediately.